It’s 2016 and you have some serious fitness goals, but trekking to the gym isn’t your thing. I can’t say I blame you. It’s freezing out (long live El Niño), and nearly impossible to find a traffic-free moment on Long Island. Forget the elements and leave your keys in the basket. Build the ultimate home gym. Create the right atmosphere and buy the right equipment and you’ll want to make the time. A one-time strength and conditioning coach for the New York Yankees, Cavalea has helped pro-athletes including Derek Jeter and CC Sabathia set up home gyms. Pulse got him to help you set up yours. In terms of layout, Cavalea suggests putting equipment, such as weights and weight racks, along the perimeter. “You want to keep the middle open so you can do your open training,” he said. Also, make sure to have one or two outlets on every wall in case you need it for equipment and think about which way you’d like to be facing when you do your cardio. That’s where you’ll want to put your TVs, so make sure you have enough outlets for that. “Most people associate working out as something that’s not easy. The results are positive but the trip is not fun,” Cavalea said. 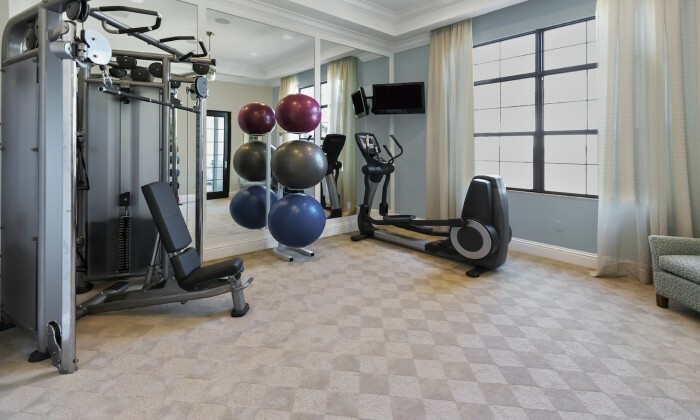 Make your at-home gym a space you love by decorating it to your tastes. Cavalea is more relaxed, so he personally leans towards more subdued tones. “Other people who want to really get after it can use a bolder color,” he said. “Decorate it with motivational sayings or pictures or things that remind you of positivity.” One of his friends has framed photos of all his favorite sports moments. With so many options to choose, it can be tempting to walk into a sporting goods store or log onto Amazon and buy everything. Resist the urge. Keep it simple and use equipment that has a purpose. Start with a functional trainer. For cardio, Cavalea likes to train athletes on an Airdyne bike, which has a fan and uses the arms as well. “It doesn’t move unless you put the effort in,” he said. 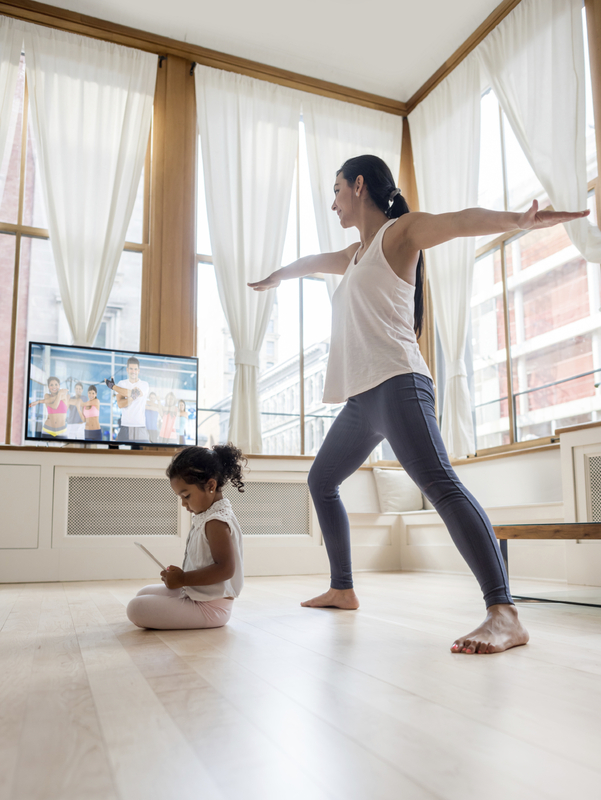 If you’d prefer a treadmill, look for a space-saver one that you can fold up to conserve space. “I have some folks that on a Sunday afternoon instead of sitting on the couch and watching football they get on the treadmill and walk for four quarters,” Cavalea said. Other must-haves: a selectorized dumbbell, power block with a stand, medicine ball stand with balls ranging from 4 to 15 pounds, multi-purpose bands (they come in light, medium and heavy) and mini-bands. “They go around your ankles to strengthen the glutes.” He also suggests a mat for floor work. “Airex makes a nice thick mat that’s spongy and well-crafted.” This will protect your joints during floor work. Finally, invest in a heart rate monitor. “I find most people don’t know how to train. If you want to maximize your conditioning, calories burned, use a heart rate monitor to maximize your effort.” Cavalea opts for Polar monitors that strap around his clients’ chests instead of the trendy wrist monitors because he feels it gets a more accurate reading. Try to find equipment that is of commercial grade, even if it’s used. “It’s more durable,” Cavalea said.